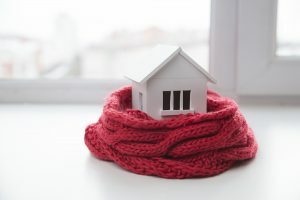 When the weather turns chilly, the last thing you want is to fire up your furnace and experience tepid air, obstructed airflow, or worse, nothing at all. Even if you contract with your trusted, local HVAC service for seasonal maintenance on your system, there will come a time when parts simply fail due to wear and tear. This is when you need expert furnace heating repair to get your heat back up and running. What does this activity entail, and what can you expect from a qualified company offering expert repair services? Here’s what you should know. There are several issues common to furnaces that could leave you with spotty heat, or none at all. Dirty filters, for example, are extremely common, but also easy and relatively inexpensive to fix by simply swapping in a new filter. You might also experience a faulty ignition or pilot that reduces heat, continuous blowing that indicates a problem with the limit switch, or loud noises that could be linked to a slipped blower belt, worn ball bearings, or mechanical problems in general. In each case, it’s probably best to turn off your furnace and call for help before the issues worsen. Keep in mind, the problem could also lie with your thermostat. If your system frequently cycles on and off, impacting interior comfort, it stays on continuously, or it won’t turn on at all, the cause could be a malfunctioning thermostat, which your HVAC professionals can diagnose and repair or replace. Regardless of the cause of your furnace malfunction, you need an HVAC service provider that not only has the expertise to identify and repair the problem, but also one that offers the speedy and reliable service you need when your heat goes out. You need a company that cares. Contracting with a reputable and experienced service provider for regular maintenance is the best way to catch and address minor issues early so that you can avoid massive and costly repairs. Building a relationship with a reliable HVAC service provider will also ensure that you get the speedy response you desire when temperatures dip and your furnace is on the fritz. With the right help from expert technicians, you can keep your entire HVAC system in good shape and enjoy the best performance year-round, as well as receive the help you need when you experience problems. We provide furnace repair services to Lancaster and Palmdale California, the Santa Clarita Valley, and the San Fernando Valley so give us a call today at 800-500-9068.